Ever considered of spending time training in guaranteed good weather but at the same time a bit exotic? The Al Qudra lake district is for you. The oasis of Al Qudra was built into the middle of the Saih Al Salam desert on the south side of Dubai. In the addition to excellent roller skiing and biking tracks the oasis offers an extravaganza of freely roaming wildlife, over 100 different kind of birds and some special desert plants. 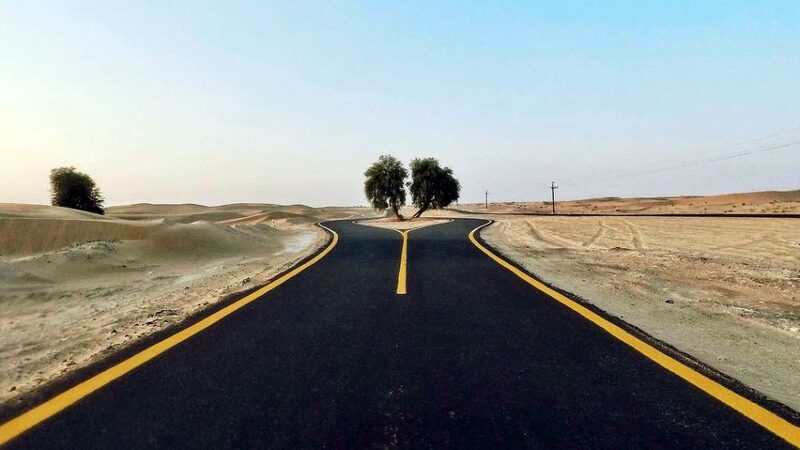 The Al Qudra bike track offers over 80 kilometres of tarmac to ski on, with rest stations and benches along the way. To make the best of it, we recommend visiting the premises at sunrise, because the views and feeling of the morning breeze are second to none. As the perfect opposite contrast to this, the sunsets offer breathaking views just as well, and soothing winds to keep you cool. Just imagine being able to roller ski in an enviroment where there is no light pollution! Star gazing events are arranged in the area frequently too, so after roller skiing a good workout on the tracks you can lay back and gaze at the stars and dream of winter and cross-country skiing perhaps?